Google Shopping is an amazing place to sell your products. 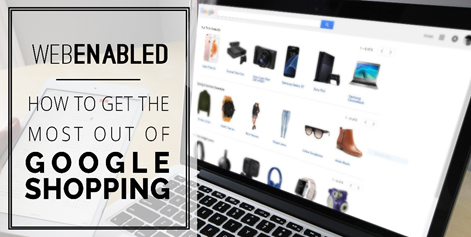 We wrote this article to help you get the most out of Google Shopping. Any shop can quickly increase its income by getting involved with a properly setup Google Shopping campaign. We run into people daily that don’t even know what Google Shopping is and for those who do, aren’t using it correctly. So, we at Web Enabled Services thought, why not dive deep into this silent revolution that only hand full of shops are taking advantage of? 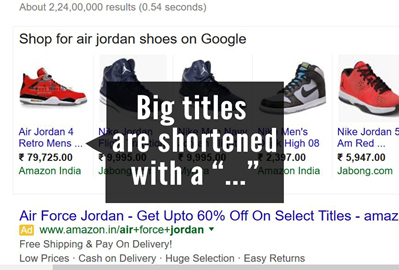 Google Shopping is a cousin of Adwords. The only differences are, you enter products instead of ads. Your products can get featured on Google main search results. You can put higher bids on the products that sell more, and lower on the ones that don’t. You can track which products sell more over time. Then, the products start showing up on relevant Google searches. For instance, if you sell sports shoes, your shoes will show up on the searches containing “Air Jordan Shoes,” “Running Shoes” etc. If your products are attractive enough, you eventually start selling, and get a new steady source of income. But small businesses get crushed by bigger, and higher bidding businesses all the time. And that’s why, just using Google Shopping isn’t the key to success. Using it correctly is. Down are 3 tips that’ll get you the every startup/small business wants. Note: The tips below assume you’re familiar with Adwords. And if you aren’t why are you reading a marketing blog? Now, the happy ending isn’t happy anymore. In late 2012, Google made the decision to shift to the pay-to-play model. The higher your bid was, the more you showed up. Blogs sarcastically wrote, Google seemed to be following its famous motto “Don’t be Evil.” Bing even started a campaign called, “Scroogled.” It took off, and made some users switch over to Bing Shopping. But even today, a large majority use Google search engine, thus make Google Shopping a lucrative platform (sorry, Bing). Here are a few tips to become a Google Shopping rock star and beat large players at their own game. Bid where the Money comes from: If you sell shirts, denim, and sweaters, Google’s interface tracks them over time and decides the winner for you. In other words, display you the statistics of which products sell the most. Your job, then, is to bid higher on those products. A great strategy is to put low bids, and add high bids only on the products that sell. Eventually, if you see Basketball shoes seem to be selling the most, add more of those. Optimize your Products for Negative Keywords: Your products will show at many places. But you don’t want your product to get clicks from people not interested and they pay-per-click for it. And Google has a handy feature of adding negative keywords to eliminate that money-sucking possibility: negative keywords. For example, if you’re selling “tennis shoes,” you certainly would not want to show up for people searching for “football shoes” or “running shoes.” Because any click you get will be extremely low converting. Thus, it becomes indispensable to list the keywords you do not want to show up for. Make your Product Description and Title Keyword-Rich: When you list a product, Google scans its description and title, so it can display it to similar worded searches. Make sure you check the search volume on the Google Keyword Planner of you title words and keywords in description. If you don’t want your title to be eaten by a “…,” make it short. The rest belongs to the good ol’ description. 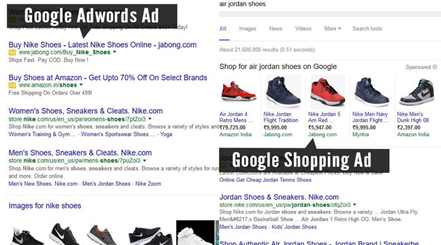 If you follow the above tips, you’ll get started or improve your Google Shopping campaigns tremendously. And because many have moved to EBay or Amazon, due to Google’s pay-to-play decision, there’s a bigger portion of profits out there. Previous Previous post: Automated Abandoned Cart Emails See the Highest ROI, So Why Aren’t You Sending Them?